Transporting babies and children safely in cars and other vehicles is a big concern for new parents and this has led to a vast range of infant seats on the market that all claim to be the best choice. There is a lot to consider when buying a safe child seat for your baby and this does not stop when they begin to grow up and need to transition to a model for toddlers. Here we reviewed and compared five of the most popular infant car seats available on the market today. You will also find a guide on choosing safe infant seats & child safety seats, that will look at safety concerns as well as other important issues regarding the comfort and the convenience it brings to you as a parent. 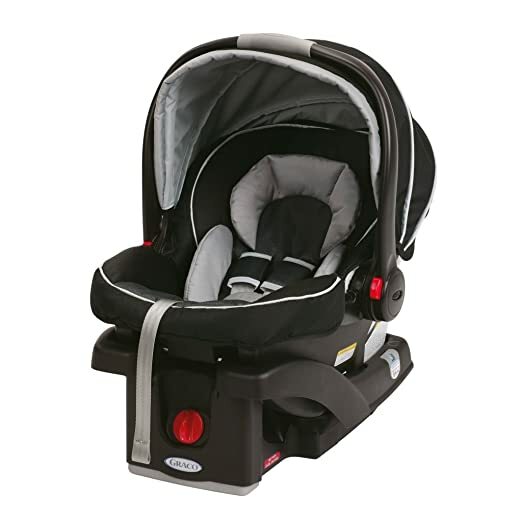 Britax B-Safe Infant Car Seat (click to check current price on Amazon): A good value for the money, as it is extremely safe and it is low-priced. 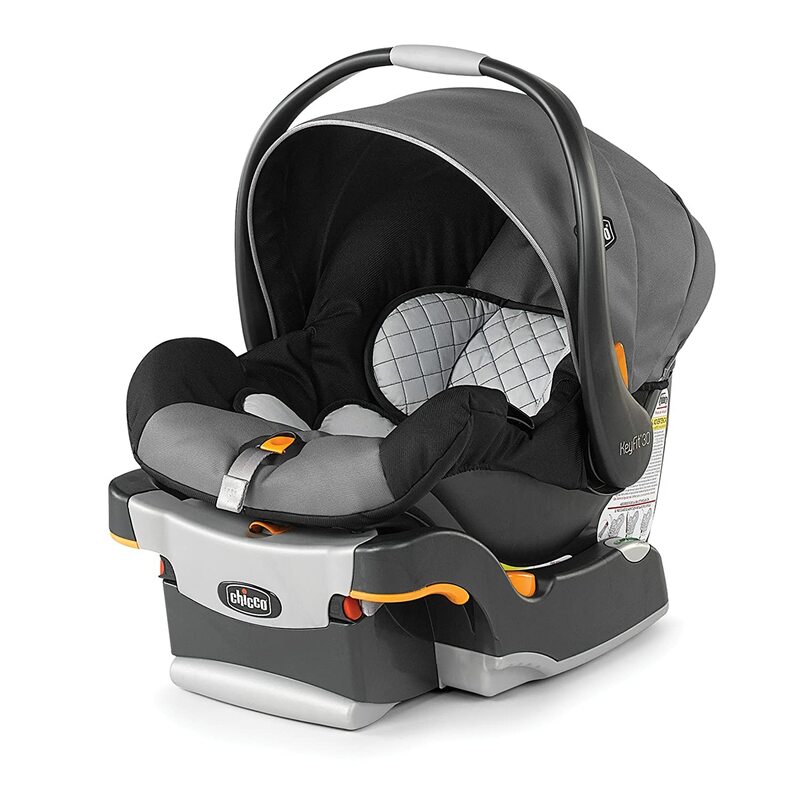 Graco SnugRide Classic Connect Infant Car Seat: Worth your money, if the safety and comfort of your child come first, and you are concerned about your little one during every car trip. 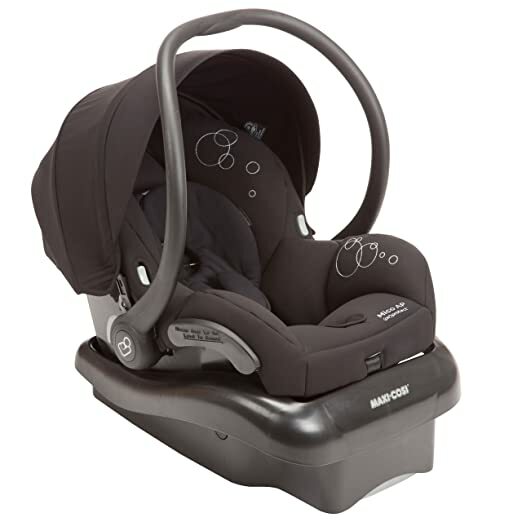 Maxi-Cosi Mico AP Infant Car Seat (click to check current price on Amazon): An extra safe, extra padded, comfortable and very lightweight seat. From the day that a newborn child is brought home from the hospital to the day they are old enough to need nothing but a booster seat, car seats will be a necessary part of transportation to ensure their safety. It is said that the risk of death in a car accident is reduced by as much as 71% if a baby is secured in a properly fitted, functional car seat. For the first two years, this needs to be a rear-facing seat but its size will depend on the size and weight of your child and you will need to replace them to make sure it is still adequate for your growing child. A seat should not be too big where it does not hold them securely but not so small that they weigh too much for it to remain ideally safe. Safety is the primary concern when choosing an infant car seat and there are many different aspects to consider beyond the presence of a safety label and assurances that it meets the required standard. The security of the seat when fixed in the car is the first concern because they can be no danger of the seat coming loose in transit, and this means that it must have secure locking mechanisms and a solid base, but the security of the child within the seat is just as vital and this is why parents are urged to look for a product with a five point harness rather than a standard seatbelt fastening. It is also advisable to look for one with a non-skid surface on the bottom for greater security when it is not fixed to the car and to fill out the registration card that should come with it so you can be contacted about possible recalls and problems. No card: no sale. Child restraint requirements differ for the various states in the United States. -In some states, children who are four years or older can use an adult seat belt without a child safety seat and in some states a booster seat is required up to age nine. -The Department of Transportation advises to use a child restraint or a booster seat for all children who are shorter than 4 ft 9 in, regardless of age and weight, or even longer if the belts hit the child at the wrong place. Some booster seats can be used for children up to 60 inches and 120 pounds. -Many state laws prefer that children 12 years and younger sit in the back seat if available. However none forbid the front seat. This includes newborns. The United Nations standard ECE R44/04 categorizes car seats into 4 groups: 0-3. Many car seats combine the larger groups 1, 2 and 3. Group 0 baby seats, or infant carriers, keep the baby locked up in a rear-facing position and are secured in place by a standard adult seat belt and/or an ISOFIX fitting. Group 0 carrycots hold the baby lying on its back. Carrycots are secured by both seat belts in the rear seat of the car. Both types have handles to allow them to be easily moved into and out of the car. – Position: Laying (in carrycots), rear facing (in infant carriers), no airbags (with the exception of curtain airbags). Your child may be older and less vulnerable at this age but this does not mean that safety should not be a top priority when choosing a child car seat for a toddler. It may be tempting to go for cheaper makes or hand-me-downs from other siblings and cousins at this point but you must go for a new model to be sure of safety. Seats that have been used previously may have cracks and wear to them that make them weaker or parts that have gone missing over the years. The best child seat is one in perfect condition and there is no guarantee of that unless you personally buy it new rather than used. It is also important to remember that seats should have manufacturer dates and model numbers; knowing these figures means you can check the expiry date. Keeping a child secure is a must but so is keeping them happy and comfortable; a safe seat will protect against potential harm but a comfortable seat will be appreciated more by the child at the time. Blankets will always help but a seat with good padding and soft upholstery with be enjoyed by children of different ages. Just be aware that too long spent sleeping in a car seat could be detrimental to a baby’s health. 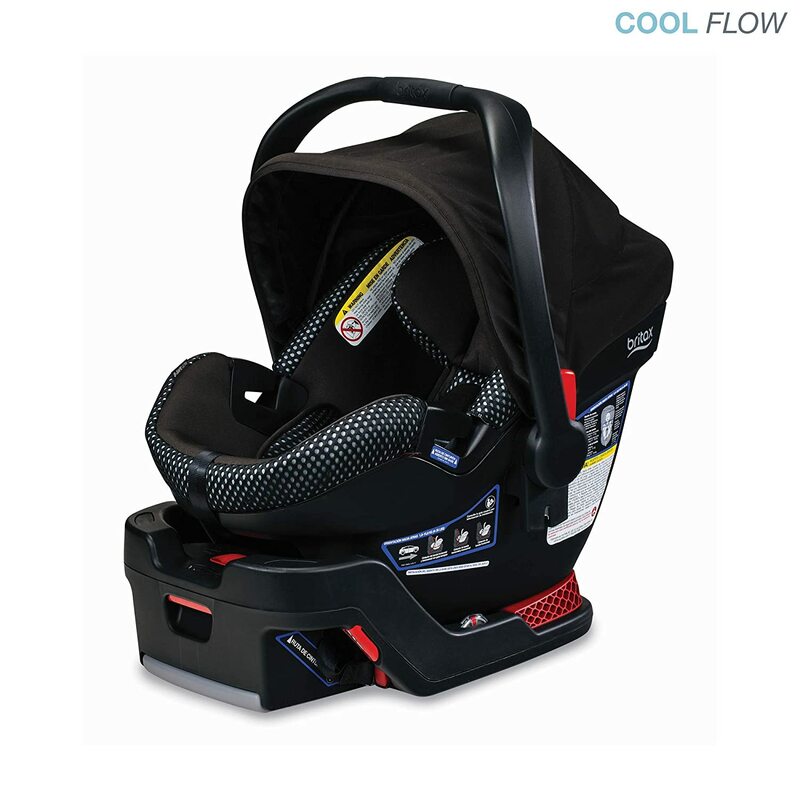 Your child’s needs are undoubtedly going to be placed above your own when it comes to choosing what you consider to be the best infant seat but you have to consider the ease of use and other features for your own benefit. You will be the one fitting and unfitting the seat and transporting it around so it has to be manageable. Look for handles, simple fastenings and seats with bases that can stay fixed in the car to save time and also consider how easy it will be to clean the material after accidents and spillages. Additionally, take a moment to make a list of the other vehicles that will be used – babysitters, grandparents, etc – to make sure the seat can be easily used by them all. Choosing safe infant seats & child safety seats is not as straightforward as searching for the “best” product and relying on those that have a good price tag or high customer satisfaction rating. The ideal seat is one that can provide the best mixture of safety, comfort and convenience for a parent and while you may concentrate solely on the first aspect – keeping an eye on manufacture dates and five point harnesses – the comfort of the child and your own experience in fitting and transporting the seat are also highly important. Check size charts to understand which is the right model for your child’s age and weight, buy a new, up-to-date-model with the best safety record and convenient features and get it correctly fitted in your vehicle – if you can tick all of these points off the list then you can have greater peace of mind over transporting your baby safely.